We collect, buy, sell and trade lighters. One of the biggest zippo collections in Europe, ranging from younger models to some of the oldest models zippo ever made. Wonderfull advertisers, rare models, sterling silver, gold, enamel, you name it, we probably have it. 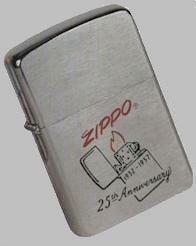 Next to zippo we also have other lighters in our collection like Thorens, Dunhill, special opening mecanism, etc. Feel free to browse as much as you want, regulary updated with new ones. A huge selection of zippo lighters that mainly come out of our own collection and in some cases lighters from fellow collectors. Next to zippo a wide range of other brands like Dunhill, Ronson and many lighters coming from France, Germany, Japan, UK, Austria, etc. You will have to see this huge collection for sale. We will trade with fellow collectors or buy single pieces or even entire collections of quality lighters.